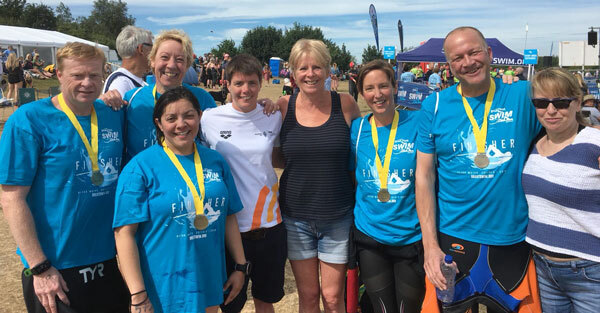 The Masters swimmers were back in action at the annual Great East swim on the weekend of 23rd June, which saw 7 of our Masters swimmers competing! 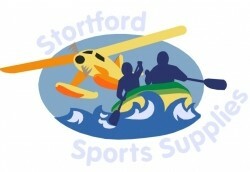 The event, which featured a range of distances (from ½ mile to 5km) was held at Alton Water in Suffolk, and the BSSC Team did brilliantly well. British and European record holders in the pool, Sally Winter and Lizzie Bellinger, both impressed in the 1-mile event, coming away with 1st place finishes in their respective age categories. In addition, Lizzie finished as the 3rd female overall, and Sally closely behind in 6th place overall. The two women should feature strongly in the British short course swimming c hampionships in Sheffield after the summer break. The 5km event was also extremely competitive, and it featured several National open swimmers, including British Championships 400m freestyle finalist Jamie Scholes of Peterborough. The BSSC swimmers taking part in the 5km event were not to be out done however. Helen Shingler impressed with a fantastic victory in the 45-49 yrs. category, finishing as the 14th female overall. Helen, who has also previously won medals in the pool at the British Masters swimming championships, was closely followed by Saffron Craig, who was 6th in her age category (40-44) and finished in the top 30 women overall too. Jerry Grover made a brilliant return to the open water scene, with a top 10 finish in his age category (50-54), as did Richard Livings, who finished in a fantastic time of 1 hour 29 minutes. Anel Zuniga-Daly also stepped up heroically in the 5km event, finishing in the top 50 women overall. Age group swimmer Eleanor Mason was also involved in the action, completing the ½ mile swim in a time that laced her as the 11th female overall.